"Trans-Siberian is not just a railway, it’s an experience, a condensed version of life in somewhat extreme but comfortable and even amazing setting. 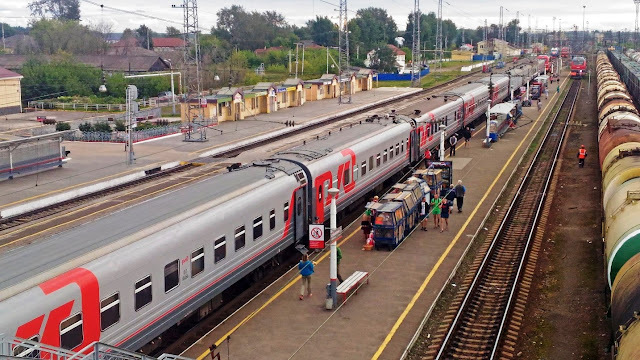 That’s why TransSib is something people want to do at least once in their life: it’s comparable to climbing a mountain or going to a meditation retreat. Except that in the case of Trans-Siberian railway the adventure is aided by infrastructure, it also has several degrees of comfort (a brief hello from capitalism), and is not a solitary but a truly collective experience – a very 21-st century way of engaging into a spiritual quest. " 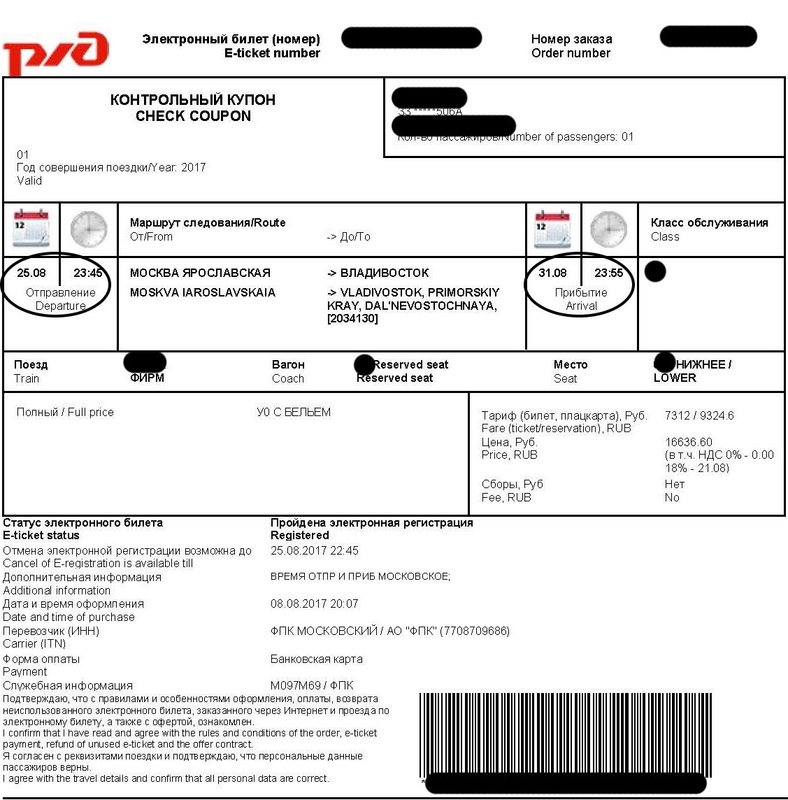 Important Note: If you make the Trans-Siberian route by train and sleep on it, the train ticket would be equivalent to the visa registration (always keep your ticket in handy). 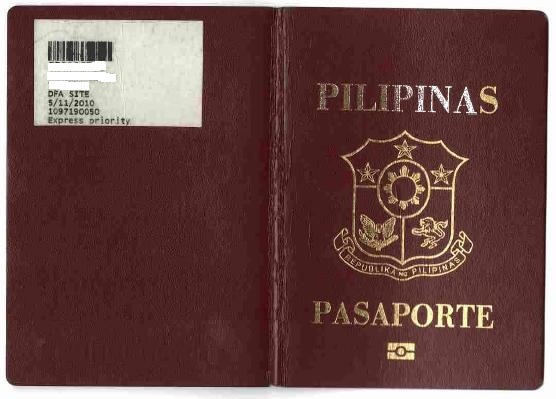 In my case, evening upon confirmation of my Russia tourist visa, I booked my one-way non-stop ride ticket from Moscow to Vladivostok (6 straight days) which was around 2 weeks before the Moscow departure. The available open slot in 3rd class was only 11 (1 on lower which I availed), 5 open slot in 2nd class while 2 in 1st class (summer season is peak season). 2. Train departs in respect to Moscow time (UTC +0300H) regardless of local time and will passed through 7 time zones in 6 days. The journey is a body clock challenge. 3. I bought my food (noodles, fruit, drinks) during the train station stops. Prices are reasonable, sometimes even cheap. Be very cautious on the train stop duration, longest is 30mins and very seldom. Again, train departs on-time. 4. I booked my sleeper bed in 3rd class (platzkart) nonstop (6days) from Moscow to Vladivostok 2 weeks before my intended schedule at 16,636 Rub ($287). Only 1 lower bed remaining that time, Aug-Sep months are peak season. 5. Payment in platzkart includes 2 sets of bedsheets and pillowcase, 1 blanket, 1 face towel, 1 glass and unlimited hot water. 6. No english-speaking Russians during my journey (even the Provodnitsa); tourists I've met can't communicate that well also. 8. Bring powerbank with high storage. Electrical outlets are only available in toilet area. 9. Local sim card is a must if you want to keep updated online (bought mine in airport - MTC sim prepaid package 10GB 350sms 350calls for 700 Rub / $13). 4G signal is only available in train station stops. Almost no signal during the cruise. 10. No shower available in the train. 11. Boredom attacks all the time. Bring books or anything to read. 12. Trans-Siberia train journey is very, very safe (I'm a Solo Backpacker).